Painting my nails is my preferred self-care ritual. It helped me finally stop biting my nails. And the act forces me to put away my phone for a few minutes. But once I found out about the toxic ingredients used in nail polish, I started to reconsider my hobby. And it doesn’t help that many “free” polishes are misleadingly marketed as safe. I wondered: is there even such a thing as nontoxic nail polish? The answer is yes, but making the switch requires research. “It’s mind-blowing that a carcinogenic ingredient like formaldehyde is still used in nail treatments,” Carla Burns, a research analyst for the Environmental Working Group (EWG), told me. She’s referring to products like nail strengthener from OPI that contain the carcinogenic. The good news? 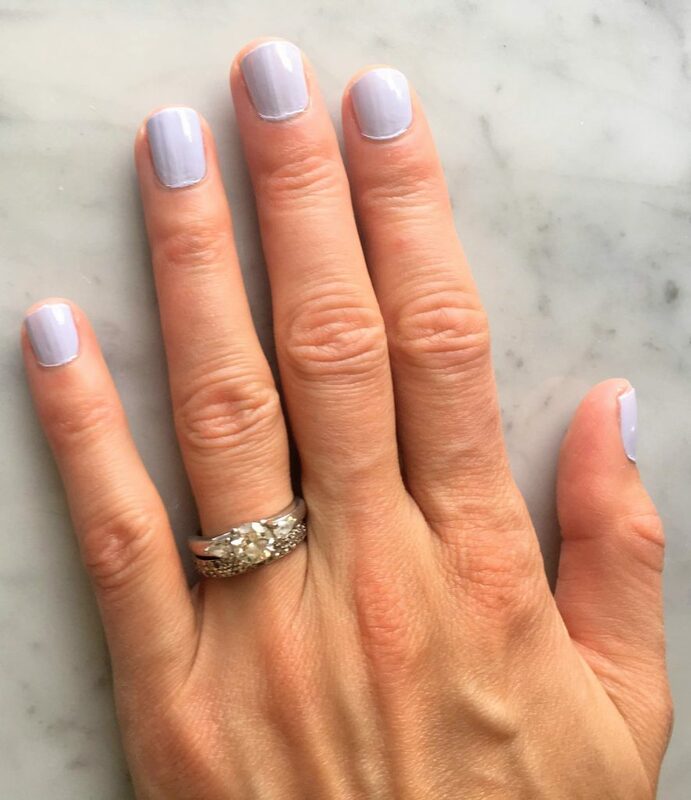 Many newer nail polish formulations have phased out previously ubiquitous and dangerous ingredients like formaldehyde or dibutyl phthalate (DBP), which can interfere with your body’s hormone functions. But that’s not enough. Burns argues that we need to change the system so all polishes are safe. “We need to update federal cosmetics laws to require products be proven safe before they hit the market,” she says. 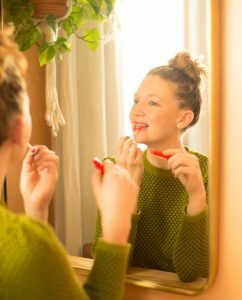 Considering Congress has not updated the federal law regulating cosmetics since 1938, we’re stuck protecting ourselves for now. While the government stands still, the private sector has made some positive changes. More than 10 years ago, mainstream brands like Wet n Wild and Sally Hansen stopped using the “big three” dangerous chemicals in nail polish. This included DBP, toluene, and formaldehyde. Now marketed as “3 Free,” these polishes are a big win for consumers. “The recent increase in the number of nail polish products that are ‘free of’ shows that consumers have been demanding healthier and safer products,” Burns says, “and some manufacturers are listening.” But it didn’t completely solve the problem. A 2015 study found that many brands were simply replacing one bad ingredient with another. A 2015 study from Duke University and EWG found that many brands were simply replacing one bad ingredient (DBP) with another: triphenyl phosphate (TPHP), a common furniture fire retardant. Brands add this chemical to nail polish to keep it from chipping. But it also ends up in women’s bodies. All 26 women who volunteered to paint their nails for the study ended up with TPHP in their systems. That’s not a good thing, because TPHP is linked to early onset of puberty, neurodevelopmental problems, and obesity. 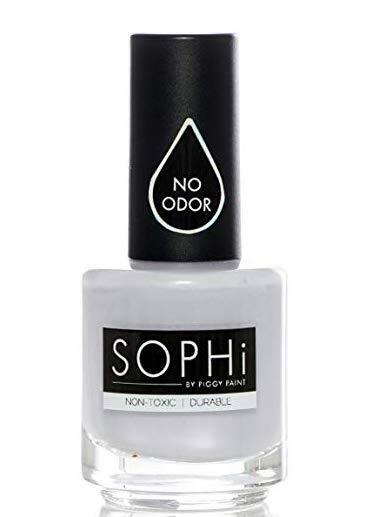 SOPHi Nail Polish is truly nontoxic and gets a 1 from EWG. Following the study, many brands removed TPHP from their ingredients. If you’re curious if a polish contains it, you can look up the product in EWG’s Skin Deep Database. That’s a good place to start with all of your polishes, actually. Even nail polish brands marketed as “5 free,” “7 free,” or even “8 free” still contain potentially harmful ingredients. For example, Butter London’s “8 free” nail polish might be free of formaldehyde, formaldehyde resin, DBP, toluen, camphor, ethyl tosylamide, xylene, and TPHP. But it includes benzophenone-1, malic acid, and CI 15850, which may cause endocrine disruption, irritation, and cancer, respectively. The overall ingredient list gets a hazard score of 3 from EWG, meaning moderate risk. “A product that is 3-, 5-, 7-, 8- or 9-free does not mean that it is free of all other worrisome chemicals that can be found in personal care products,” Burns explains. On the other (manicured) hand, a few Wet n Wild’s Shine Nail Color shades do get all-clear scores of 1 from EWG, including Grasping at Strawberries, She Sells, and D’Oh! But then other shades from Wet n Wild get 3s and 4s. Looking up each individual product and shade is the key to finding a safe nail polish. Often, you can’t simply trust a brand in general. There is some hope, though. According to Burns, about 30 percent of the nail polish in the Skin Deep database get a low hazard green rating. In addition to using them for at-home painting, Burns suggests bringing one of these truly nontoxic polishes to the salon if you plan to get a professional mani pedi. My nails in SOPHi’s nontoxic lilac shade. I decided to put a safe nail polish to the test, specifically a polish by SOPHi by Piggy Paint. Originally a safe polish for children, Piggy Paint decided to branch out into safe products for adults. The SOPHi polishes get a 1 on EWG and come in some attractive shades — this isn’t your typical kiddy polish. I opted for the Dance Lilac No One’s Watching color, which is available on Amazon Prime. SOPHi also sells a primer and sealer set. I can say this former Essie and OPI girl is a fan of SOPHi. I decided to stay low maintenance and just apply the polish without the top and bottom coats. Two coats gave me a nice opaque finish. While the finish is a little thick and it feels like I could peal it off if I wanted, it looks just as good as most conventional polishes I’ve used. I also loved that the SOPHi polishes have no strong smell. Goodbye nail polish headaches. I didn’t have to wait especially long for it to dry. And it came off very easily with my acetone nail polish remover (which EWG says is safe). I’ve cracked the code of safe nail polish. It’s time for me to dump the 30+ unsafe polishes I have cluttering up my bathroom, and start working on a new stash. Until then, my nails will be lilac.